Visit the biblical Balotra Tilwara Horse Fair . Ride through the fair to see horses, camels and cattle being traded then transfer to Kumbhalgarh where you start your ride on the Leopard’s trail. 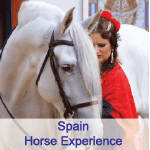 We ride down through the wooded forest, passing cool streams to arrive on the hot plains, camping by farms and lakes and stop off at the Godwar Festival and horse show where you can take part in the mounted games. We then make our way between the smooth rocks and hills to the scrub forest at Bali, and then set camp for two nights at Jawai Bandh, transferring to jeeps for morning and evening excursions into the park for Leopard safari, finally we transfer to Udaipur to see the lake and City Palace. There is plenty of sightseeing included on this tour including a visit to the Mehrangarh Fort at Jodphur, the City Palace at Udaipur and the Fort at Kumbhalgarh. Morning depart Jodhpur by minibus and transfer by road to Balotra fair & settle into camp (4 hrs). Evening ride around fair. This fair is one of the largest horse fairs in Rajasthan, but has managed to retain its rural ancestry – with few places for tourists to stay few visit, so you really will feel transported to a biblical world. The days are hot so we will visit the fair in the mornings and evenings, you will see different styles of dress as people make the trek to Tilwara from Gujarat, Maharashtra and the Punjab as well as from all corners of Rajasthan in order to trade horses, camels and cattle. Camp overnight. Morning: Start Horse Safari. Full day riding through the Khumbalgarh Sanctuary and Ghanerao forest with picnic lunch, arriving Narlai. We enter the sanctuary near Kumbhalgarh Fort and make our way through the wooded sanctuary using old paths, crossing small rivers to the edge of the Ghanerao forest. The route is shaded and quiet, although harbours much wildlife – keep your eyes open, you never know which animals are watching you through the trees. Overnight: Hotel at Narlai. Full day ride to Jawai Bandh. Today we continue onwards to reach Jawai Bandh – Lying at the heart of an untrammelled wilderness, where leopards roam wild and free encapsulated in a landscape surrounded by craggy granite formations of caves, kopjes, Anogeissus scrub and winding sand river–beds. Camp overnight. Morning depart for Udaipur by minibus road transfer. Check in to hotel. Afternoon sightseeing – lake boat trip. Beside Lake Pichola, with the ochre and purple ridges of the wooded Aravalli Hills stretching away in every direction, Udaipur has a romance of setting unmatched in Rajasthan and arguably in all India. Fantastical palaces, temples, havelis and countless narrow, crooked, colourful streets add the human counterpoint to the city’s natural charms. Udaipur is the city of cream, rose and honeysuckle hues. The huge, cupola-crowned City Palace lines the eastern shore of Lake Pichola, with its balconies gazing out at Udaipur’s other famous landmark, the Lake Palace – a fairy-tale confection that seems to float on the lake’s waters, gleaming by day and spot lit by night. Eastward, away from the lake shore, extends a tangled inner city of lanes lined with homes, temples, shops and businesses that is fascinating to explore. Overnight: hotel in Udaipur. Cost: £2994.00 British pounds. (Please contact us for the Australian dollar conversion. We use the ANZ bank sell rate for our conversion). Single supplement £600.00. Please advise when booking.